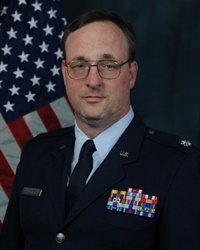 Lt Col (Dr) Ogle is the wing psychologist for the 480th Intelligence, Surveillance, and Reconnaissance Wing, headquartered at Joint Base Langley-Eustis, VA. He has a doctorate in clinical psychologist from the University of Detroit Mercy as well as completion of a postdoctoral fellowship in combat operations and aviation psychology from the University of West Florida. He has led interdisciplinary teams in service of clinical care, combat stress mitigation, high risk training safety, and mission effectiveness in six assignments and two deployments. Financial: Alan Ogle is the Director of Operational Psychology 480th ISR Wing. Nonfinancial: Alan Ogle has no relevant non-financial relationships to disclose.